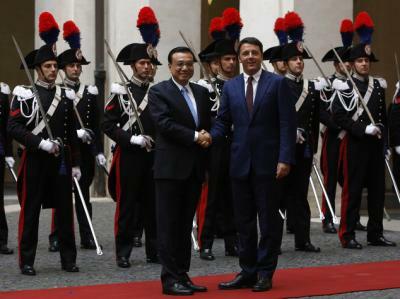 ROME – During a ceremony at Palazzo Barberini, Italian Prime Minister Matteo Renzi and Chinese counterpart Li Keqiang signed 20 deals totalling eight billion euros, officials said Wednesday. Foreign Minister Federica Mogherini accompanied Renzi to an earlier meeting in Palazzo Chigi Tuesday. 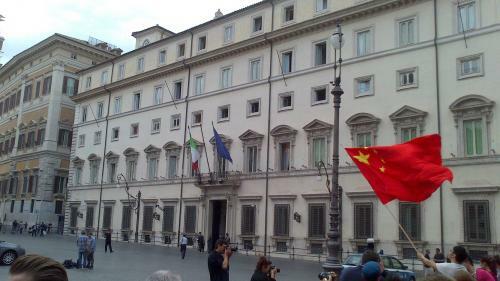 A group of Chinese citizens bearing Chinese and Italian flags greeted the Mr Keqiang in the Piazza Colonna.